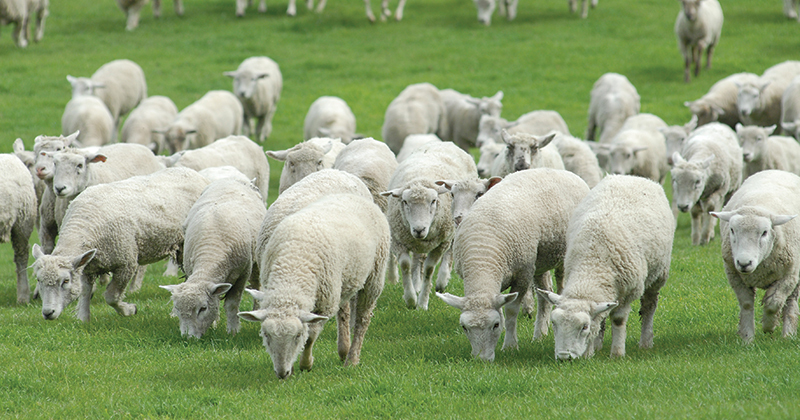 Lamb prices have defied the odds to remain relatively steady for the fifth week straight. It’s highly unusual for prices to trade in such a narrow range for so long, and there is no doubt they will break out at some stage. Mutton prices haven’t had the same luxury, continuing to slide this week in spite of weather forecasts. It’s been a strange week for mutton markets. We must point out that Monday was a public holiday in NSW, which might have thrown indicators out a bit, but shouldn’t have accounted for the Mutton Indicator falling off a cliff. Figure 1 shows NSW Mutton has gone from similar to last year’s levels, to just below the five year average, at 264¢/kg cwt. NSW mutton is now half the price it was in early June. The decline in mutton prices was not confined to NSW, in SA we saw a 93¢ decline to 265¢/kg cwt. In Victoria mutton values were steady, gaining 3¢ to 373¢/kg cwt. So either NSW and SA prices are way out of whack, or Victoria’s are, and normal trade flows will see prices converge in some way or another. The Eastern States Trade Lamb Indicator (ESTLI) has defied downward pressure from mutton, and remained steady at 602¢/kg cwt. The ESTLI has traded between 597¢ and 607¢ for five weeks and between 574 and 633¢ since the start of July. It was the second week in October when the ESTLI fell off the cliff last year, and the weakening mutton values don’t paint a great picture for lamb over the coming weeks. Figure 3 might see a bounce in mutton prices after this week’s fall. A reasonably large proportion of the NSW sheep population will get pretty wet over the coming 8 days, while things will keep ticking along in Victoria. It’s hard to see lamb values maintaining these values indefinitely, so if lambs are up to trade weight, the time to sell at 600¢ is running out.